Many of you are familiar with Teton Marketing primarily because of our Native American Flutes handcrafted right here in Jackson Hole. Last year we released our first hat that was primarily a hat to help spread the word about the company. 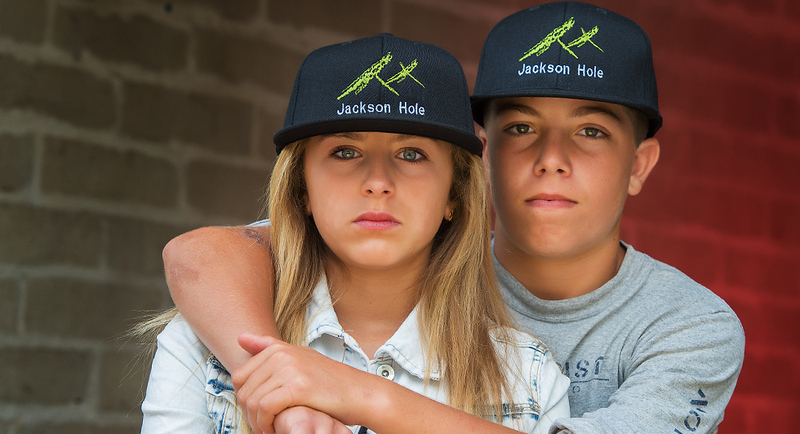 Our latest hats should appeal to everyone who lives or visits Jackson Hole Wyoming. 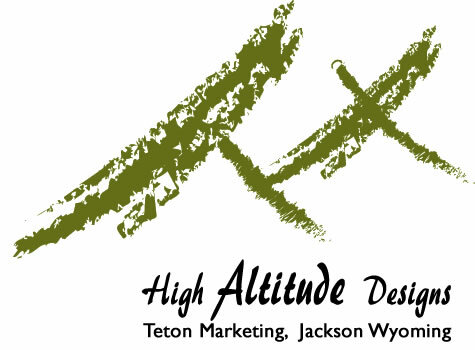 High Altitude Designs from Teton Marketing is a line of active wear clothing that people can use every day living here in Jackson Hole and beyond. Watch for the introduction of clothing, hats and more as they introduce them throughout the summer. Each clothing item is branded with the Teton Marketing logo and appropriate taglines. All logos and taglines are embroidered for a clean tasteful look. We hope you will enjoy each addition as they come available. Each of our hats are designed and made right here in the state of Wyoming, truly Wyoming Made. The current line of hats come from mostly from the Otto Collection. We currently have available in three hat designs. Adjustable to fit any head. 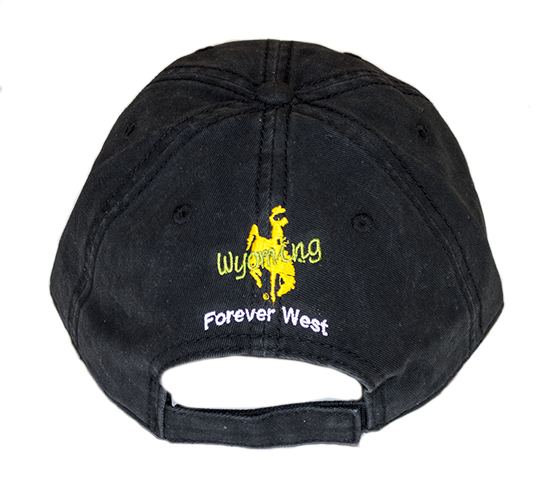 We offer three versions of the hats, all three feature variations of the Teton Marketing Logo, the Wyoming Bucking horse, the state name “Wyoming”, the States Tag Line “Forever West” and of coarse name “Jackson Hole”on the front of the cap. The current caps are available in jet black, Khaki, and dark Gray in color. These are very nice quality hats and all logos are embroidered, not silk screened. Our newest addition is a new ladies with the popular military style hat. A sample picture of the this new hats style is located below and to the right. If you are interested in one of these new ladies hats email us to reserve one. Hole” is embroidered on the front of the cap. 100% Cotton Army Style ladies cap. Fully adjustable in back using Velcro adjustment strap. Soft unstructured cap. Logo is embroidered on one side of the front panel and the name Jackson Hole on the other panel. If you wish to place your order by phone please call (307) 690-0427. You can pay for your order using your credit card or we can invoice you via PayPal or send an online invoice to your email address that you can pay online. If you have questions you can also reach out to us via email “timjen333@gmail.com“. Inspired by the place we live. The Teton Range is truly one of the most inspiring mountain range in the world. Most people equate the Grand Tetons with Jackson Hole. Our Logo for Teton Marketing is our vision of what we see everyday. Like many of our flute fetishes that tend to be more whimsical, our logo falls comfortably in line with them. We have tried to find a balance between a literal view of the range and their whimsical view. We think they accomplished this. Many of you know Teton Marketing because of the Native American Flutes they handcraft right here in Jackson Hole. Teton Marketing is growing and adding new products all the time. Recently they released their first hat that was primarily a hat to help spread the word about the company. Now they add a new hat that should appeal to everyone who lives or visits Jackson Hole. High Altitude Designs from Teton Marketing is a new line of active wear clothing that people can use every day living here in Jackson Hole and beyond. Watch for the introduction of clothing, hats and more as they introduce them throughout the summer. Each clothing item will be branded with the Teton Marketing logo and appropriate taglines. All logos and taglines will be embroidered for a clean tasteful look. Teton Marketing hopes that you will enjoy each addition as they come available. The current Teton Marketing hats come from the Otto Collection and they are adjustable to fit any head. There are now offer three versions of the hats, all three versions feature variations of the Teton Marketing Logo, the website address, the Wyoming Bucking horse, the state name “Wyoming”, “Forever West” and of coarse “Jackson Hole”on the back of the cap. All of the current caps are jet black in color. These are very nice hats and all logos are embroidered, not silk screened. Each hat is $23.99 plus shipping. 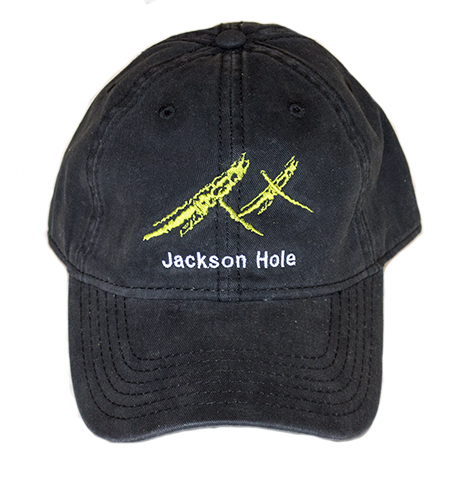 They are planning to add several more hat designs for those of you who love Jackson Hole Wyoming as much as they do. You can Get your Teton Marketing hat today at www.tetonmarketing.com.